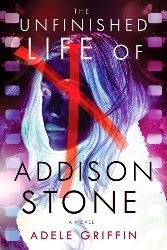 Adele Griffin's newest book is The Unfinished Life of Addison Stone (Soho Press, 2014). I had the privilege of interviewing Griffin, and writing up a little something about the book and how it was created, for School Library Journal. You can go read my article at The Story Behind Adele Griffin's Hybrid Novel, 'The Unfinished Life of Addison Stone'. I promise to write up more of my thoughts on Addison Stone here -- the short version? Loved it. This is the type of creative, inventive story telling I love, and Addison herself is a fascinating young women. Love her or hate her, you'll remember her.